Everyone loves the sun and having a sun tan gives a healthy glow to the skin. However prolonged exposure to the harsh UV radiation is the leading cause of skin cancer. The radiation also causes premature ageing of the skin and change in the skin pigmentation. There are two types of UV rays: UVA rays and UVB rays. UVA rays penetrate into the deep layers of the skin and are the main cause of premature ageing and contribute to long term skin damage. UVB rays affect the surface of the skin and are the cause of sunburn. Some people are more vulnerable to the harmful effects of overexposure of the sun than others. Darker skin types are also at risk of skin cancer but often the cancer is not detected until it is in the later more dangerous stages. Wear protecting clothing such as hats and eye protection. Extra caution near water and snow as you may not feel the heat of the sun but there will still be some penetration of the UV radiation. Using cosmetics such as tanners and bronzers that are applied as a cream to the skin is a safer way to achieve a tanned look. However, application of the products can often be difficult and a streaky finish results if the application is not completely even. Note if a product does not contain a sun screen it does not protect against the sun. Please check the product specifications carefully. SPF stands for sun protective factor and is a measure of how effective the product is in blocking UV rays. 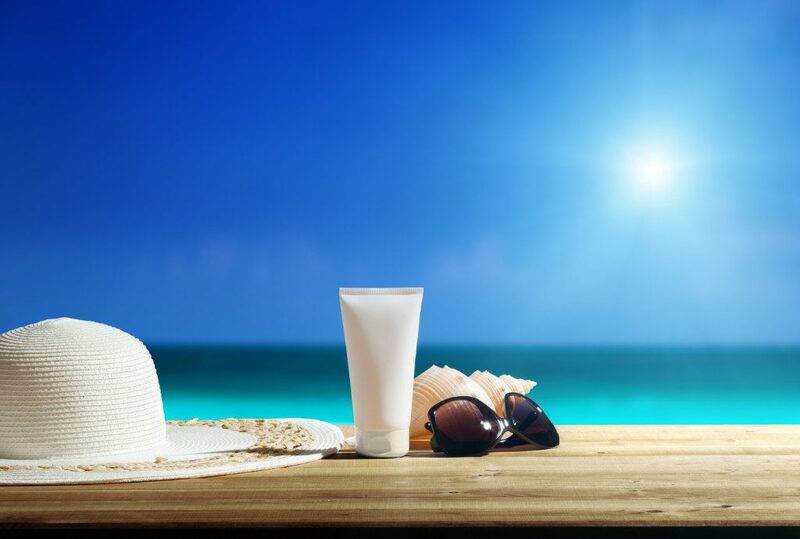 An SPF of 15 would block 93% of UBV rays. A higher SPF can offer greater protection but SPF 15 is considered the minimum safe amount that needs to be used to offer protection. We would recommend that sunscreen of a minimum SPF15 to be worn daily and carefully applied to the lips, face,bald spots on the head and areas of the body which would have sun exposure.